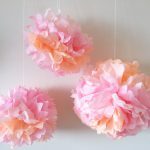 Mother’s Day crafts are so much fun for kids, and Moms love them! 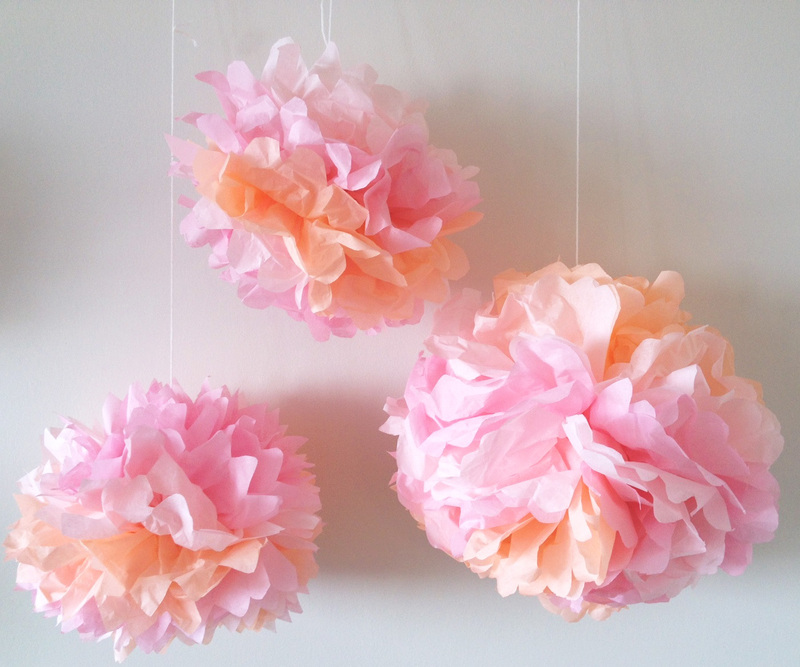 Learn how to make these 10 awesome crafts from our craft expert Crafty Kate. These are great for your classroom, after school program or scout group. Each project allows kids to be creative and make their very own special gift to give their Mom! Kids can decorate this plate for Mom with acrylic paint. Our Color-Me Bisque Plates are easy to paint and come with an easel so Mom can display it for everyone to see! TIP: To make easy flowers, dip the end of the paintbrush into a small amount of paint to make the flower center (use the same method to make polka dots). For the petals, use the tip of your finger. This makes it easier for kids instead of drawing the flowers. Have them get creative with their design! This is a great Mother’s Day craft for younger kids, because it is super easy and quick. Just use green paperclips for the stems, and put felt flower stickers on the tip of the paperclip. They stick very well. If you want the flower to be one dimensional, cut out a small square/circle to cover the sticky part of the flower on the back. These make better bookmarks because they are flat. 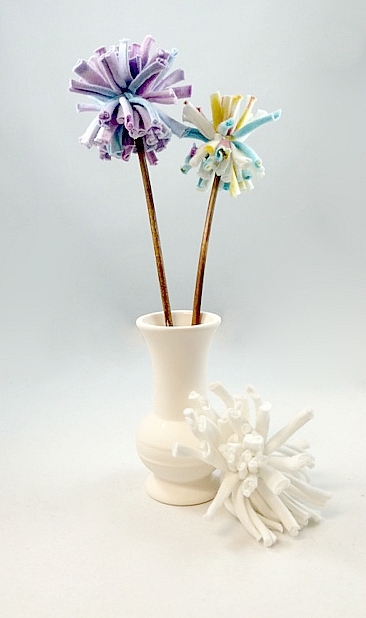 For a fun 3D flower, use the same flower and stick it to the other side! If you’d like to make this a more challenging craft and get even more creative, check out this sewing project from Squishy Cute Designs. These little bugs are so cute and fun to make, using our clear plastic stones. First, pick out your favorite decorative paper. Cut out a 1.5×1.5 inch square for each pattern you want to make. Spread clear glue onto the bottom of the stone (a paintbrush makes it easy to spread), then press the stone onto the paper. Let it dry for about a minute. Then cut the excess paper off, following the circle and staying as close to the edge of the stone as you can. Now glue the wiggly eyes on. Kids will love creating these cute bugs and can pick out Mom’s favorite colors! Diffusion paper is a great craft because it will always come out unique each time. Our color diffusing flowers are perfect for a Mother’s Day gift. First, draw any design you’d like on the blank white flower with permanent marker. Then drip liquid watercolor onto the flower. You can drip colors into each corner of the flower. The colors will spread out and diffuse together. The permanent marker won’t bleed. Use as many colors as you’d like! You can also just use liquid watercolor without the marker for a more natural look. Dragonflies are a great Spring craft and would make a cute magnet for Mom! I loved using our flat clothespins for the body of the dragonflies. It gives them personality! Then I used craft sticks for the wings. Paint 1 clothespin and 2 craft sticks with acrylic paint. For the blue and purple dragonflies I used metallic acrylic paint. For the teal dragonfly I used sheer gel paint to see if it would work on wood. It came out with a very nice stained look. Then just wait for the paint to dry and glue the wings. 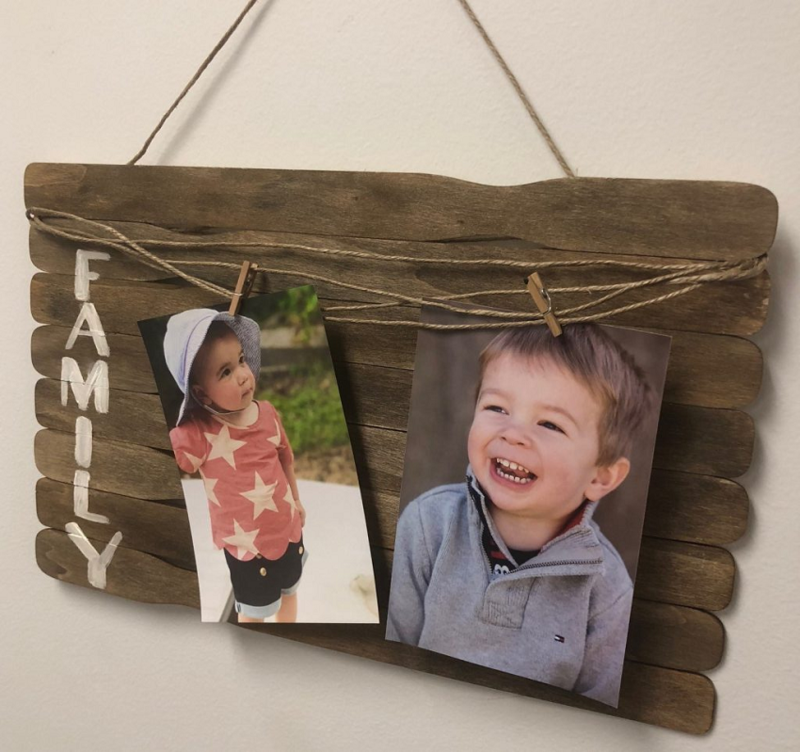 Add wiggly eyes and a strip of magnet to the back and you’ve got an adorable Mother’s Day gift! Flowers make perfect Mother’s Day crafts. 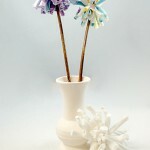 These clay flowers are fun for decoration, and kids can make Mom a whole garden! Use small cookie cutters or create the shapes yourself with air dry clay to create the flower. Mold the clay into a small, flat piece. Using a paper plate as your surface, push the cookie cutter into the clay. The excess clay on the outside should peel off easily. Now that you have your flower, push the end of a green paperclip into the bottom of the flower. This is the stem! So the flower can stand up, make a base by rolling a small ball of clay between your hands. Push the other end of the paperclip into the base. Let the clay dry overnight. Then paint the flower and base with acrylic paint. Mom’s can use these decorative plaques to brighten up any room! Our wood plaques are great for decoupaging. This craft is a bit more challenging and best for kids ages 8 and up. Spread Mod Podge onto the plaque with a paintbrush. Cover the entire surface. Cut a piece of tissue paper (we used color blending art tissue paper to get the sunset look) or decorative paper and carefully place it onto the plaque. TIP: Cut the tissue paper into a square with about an inch extra on each side so you can cover the sides of the plaque. Spread more Mod Podge over the tissue paper. Use the paintbrush to fold the excess tissue paper over the sides. Once it dries, use a ruler to make the excess paper follows the contours of the plaque. Use sticker letters or cut out letters from magazines to write a message for Mom! Cover again with Mod Podge and let dry. Here is another craft kids can do with air dry clay. They can make an earring and ring holder for Mom. I chose a heart shape, but they can choose any shape they’d like. Mold the clay into the shape and then curve the edges in to create a bowl-like shape. For the ring holder, roll a piece of clay into your hand and put it in the center of the ring holder. TIP: Use the end of a plastic spoon to smooth the piece of clay so it blends with your shape. Let the clay dry overnight and then use acrylic paint to decorate! This Mother’s Day craft only takes about 10 minutes and uses few materials. Using our canvas panels, pour glue into any pattern you’d like. Let the glue dry on the canvas completely. Then paint watercolor or liquid watercolor onto the canvas, blending different colors together. Mom’s can use a cute mini easel to display this at home! Kids can make Mom a special card for Mother’s Day! Just use a doily, construction paper, wiggly eyes, and yarn to create this adorable lion card. Check out our tutorial on how to make this Doily Lion Paper Craft. Then kids can add our foam letters to write something meaningful to show Mom how much they care! You can also visit our blog on How to Create a Dandy Bouquet for Mother’s Day for a fun DIY flower tutorial! Which Mother’s Day crafts are your favorite? 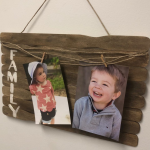 This entry was posted in Arts & Crafts, Holiday Crafts, Newsletter May, Spring Crafts and tagged crafting, Crafts for Kids, crafty kate, Flowers, Mom, moms, Mother's Day, Mother's Day Crafts, Mother's Day gifts, mothers by Crafty Kate. Bookmark the permalink. WOW!great way to decorate and fun to make !